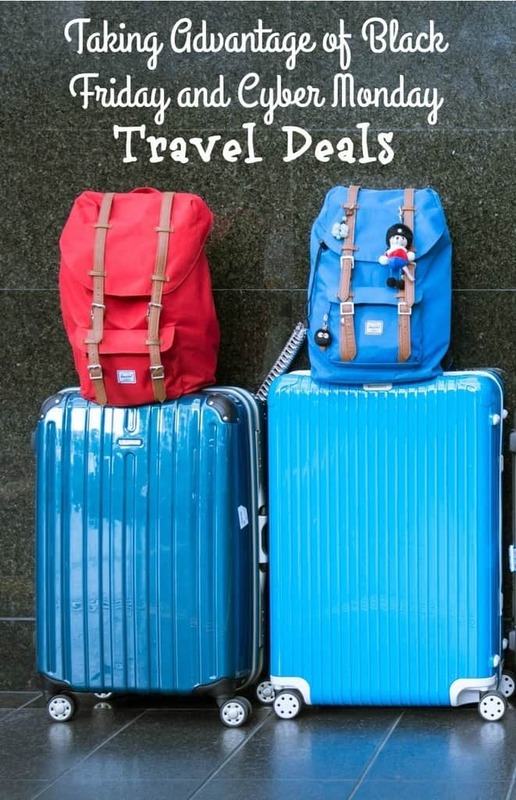 If you like to travel or plan to travel around the holidays, there are some great deals you may be able to take advantage of. Black Friday deals are not just for major retailers since you can also find deals on hotels, guided tours and cruises. Here is some great travel deals for Black Friday and Cyber Monday. Will you take advantage of any of these great Black Friday or Cyber Monday travel deals? Where will you go? Tell us in the comments! Hilton Hotels– If you book a hotel stay between Black Friday and Cyber Monday, you can save 30% at Hilton Hotels and 20% at Hampton Hotels. Expedia.com– On November 27, 2015, starting at 9am EST and 12pm EST, you can get 75% off of select hotels. This deal is only valid for travel between November 27, 2015 and March 31, 2016. The Resort at Pedregal in Cabo San Lucas, Mexico– You can get 30% to 40% off of hotel rooms, residences and suites if you book between November 27, 2015 and December 4, 2015. The deal is only valid for travel between June 15, 2016 and October 16, 2016. Also, you do have to book your stay for at least three nights from Sunday to Wednesday. Melrose Georgetown Hotel in Washington, D.C. – You can save 30% on your hotel stay if you book between November 27, 2015 and November 29, 2015. This deal is valid for travel between November 27, 2015 and December 30, 2016. Intrepid Travel– You can get great deals on guided tours if you book between November 30, 2015 and December 30, 2015. You can save 20% on tours if you depart prior to April 30, 2016 and 10% on tours if you depart prior to September 30, 2016. Gozengo.com– If you are one of the first 25 folks to book a trip starting at 12am EST on November 30, 2015, you will get $1,000 off your stay as long as you book a minimum of seven nights at a hotel. If you are the 26th person and beyond, you will get $350 off your stay as long as you book a minimum of seven nights at a hotel. Caneel Bay Resort in the U.S. Virgin Islands– On November 30, 2015, from 8am EST to 6pm EST, you will get a daily $60 credit when you book an Ocean View room or one in a higher category. This deal is valid for travel between January 4, 2016 and January 18, 2016. Canyon Ranch in Tucson, A.Z. – If you buy a gift card only on Cyber Monday, you will get a voucher in return for up to 20%. The voucher may be used towards either a Canyon Ranch package, retail purchases, spa day or service allowance. wow! awesome deals indeed. I’m going to check it out. My family really loves to travel and had a vacation. Thanks for sharing this. Awesome deals! I wish I had some extra cash, to take advantage of some. We took a trip to the USVI a couple years ago, and it was amazing.